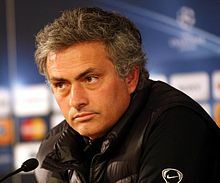 Jose Mourinho is a football manager, widely regarded as one of the best coaches in the game. He has led numerous top European teams to national and European honours. He is also renowned for his acerbic and self-confident style. He is often referred to as “The Special One” a nickname to describe his unique character and strong track record. In September 2000, he was offered a manager’s post at Benfica, in Portugal. 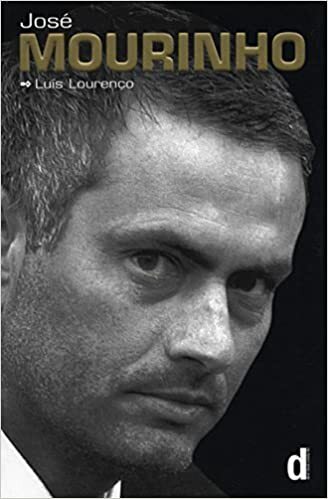 However, this proved short-lived, and in 2001, he left for Uniao de Leira, who with Mourinho in charge were able to make spectacular progress up the league table. In 2002, he was picked to coach Porto, and using innovative scientific methods he helped Porto to unprecedented success: including league titles, cup title, the UEFA cup (2003) and in 2004 the UEFA Champions League. This stood out as an impressive achievement. Few Portuguese sides have won the most prestigious European competitions, and this made him one of the top management targets. Following this triumph, he was tempted to join English Premier League Chelsea, who, under Roman Abramovich, had unprecedented funding on the transfer market. Mourinho became the highest paid manager, earning a salary of over £5 million a year. He took Chelsea to two league titles in 2005 and 2006, though the European Champions League remained elusive. Mourinho’s relationship with the English press was turbulent. At times he entertained, at other times courted controversy. He was rarely out of the headlines. Also, his relationship with Abramovich was uneasy. In September 2007, he left Chelsea out of mutual consent. He moved to Inter Milan in 2008. In 2010, he led Inter to a unique treble, winning Serie A, the Italian Cup and the UEFA champions league. As in England, he had a tempestuous relationship with referees and other managers. With the retirement of Alex Ferguson at the end of the 2013 season, there was speculation that Jose Mourinho would be offered the ‘dream job’ at Manchester United. But, this did not materialise and in the end, Mourinho returned to his former club Chelsea. In the 2013–14 season, Chelsea finished 3rd in the Premier League, just four points behind winners Manchester City. In the 2014–15 season, Mourinho led Chelsea to another Premier League title, Chelsea won by eight clear points, and also took the League Cup. As defending champions, Chelsea made a disastrous start to the 2015–16 season, losing an unprecedented number of games, and languished in the bottom half of the table, just above relegation. Despite the poor run of form and off the field problems, Mourinho remained popular with most Chelsea supporters. However, it appeared that he had lost the 100% commitment of many of his players. After the Leicester game, Mourinho complained he had been betrayed by some of his players. In Dec 2015, Mourinho was sacked for a second time by Chelsea FC. In May 2016, he was given a new contract by Manchester United. 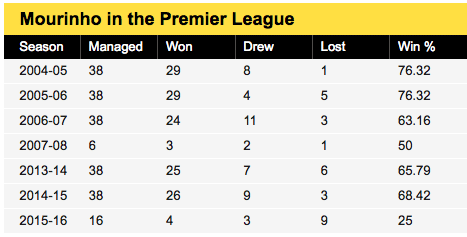 Since Alex Ferguson’s retirement in 2013, Manchester had struggled to live up to their previous standard. In their first season, Manchester began to make some progress, but finished a modest 6th place. In 2016/17, Manchester won the Europa Cup and the League Cup final. In 2017/18 season, Manchester United finished 2nd in the league. However, over the summer of 2018, there was increased disastifaction in the club and reported fall outs between Jose Mourinho and big star players – notably Paul Pogba. After Manchester’s worst start to a Premier League campaign, he was sacked following a 3-1 defeat to arch rivals Jurgen Klopp. Mourinho is considered an excellent tactician and has sometimes been criticised for emphasising defensive strengths rather than encouraging attacking play. However, Mourinho is unmoved by criticism arguing the job of the manager is to win. 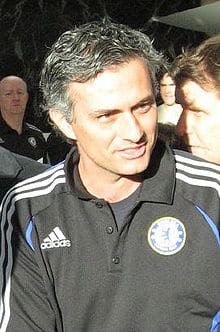 During his career, Mourinho has often been involved in personal spats with other managers, referees and members of the media. He is not afraid to speak his mind – even if it upsets others.